Bill Paxton died from complications during surgery on Sunday, and now The Hollywood Reporter has shared a few brief, touching remembrances from some of the people who knew Paxton. First is Kurt Russell, who co-starred with him in the 1993 film Tombstone. In his post, Russell says “you won’t find anybody who didn’t like Bill Paxton,” noting that he never made things “about him or his problems,” choosing instead to focus on solving other people’s problems and working to help make scenes better. He also says Paxton was a “sneaky-good actor” and was “very subtle and effective” because of that. 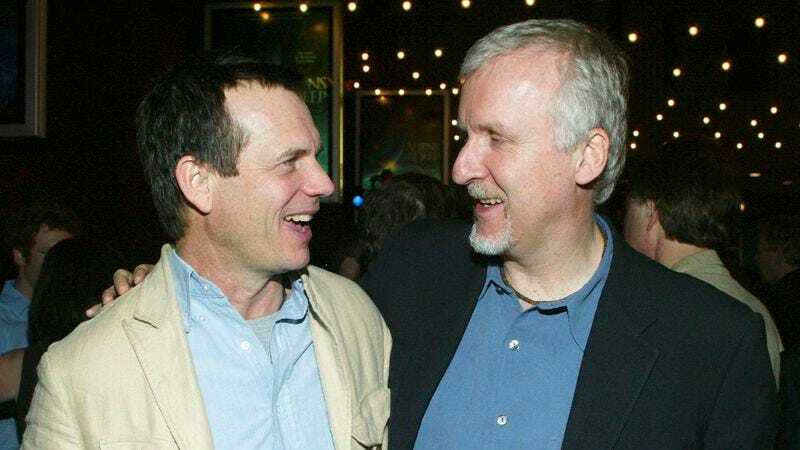 The third post is from James Cameron, who worked with Paxton many times and had been a close friend of his for decades. His post is understandably the most emotional of the bunch, and it opens with Cameron discussing the “700-pound stone head of Bacchus, the party god” that Paxton once sent to his house. He got it from a hotel that was being demolished in New York and just figured his pal Cameron needed a 700-pound stone head. It has been in my living room for 15 years. That’s the kind of guy Bill was. An absolute original. He approached life at full throttle and with a childlike enthusiasm—for people, for stories, for history, for art. He leaves a void in my life that can never be filled. I mourn the work we will never do together and the laughs we will never share. But I’m grateful for, and celebrate, the time and the work and the adventures we did have.